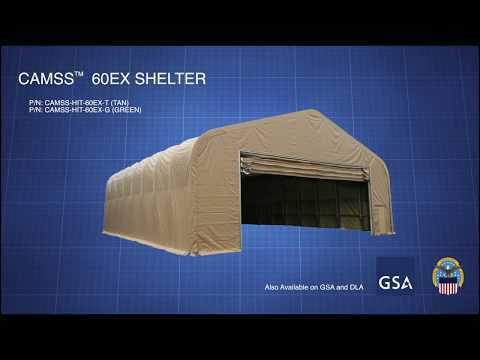 When you need an extra-large working area with huge doors, you can count on the CAMSS 60EX Shelter System. Measuring 60ft wide, 100ft long, and 28ft high, the CAMSS 60EX provides ample room for your maintenance needs. Utilizing hand-crank lifts to build the frame in sections on the ground makes the CAMSS 60EX simple and safe to setup. The shelter also strikes into a compact size for shipment via any method, including air transport on 463L pallets.